Few things are more joyful than bringing home a new puppy. No matter the breed you choose, a puppy can bring you years of laughter, companionship, and unconditional love. However, your new puppy will depend on you to protect it from any dangers it might encounter as it gets used to a new environment. From poison to strange animals, there are many ways your puppy might get injured. Here are 5 tips for protecting your new puppy. While you might think of crate training as caging your dog, it can be helpful for both protection and initial potty training. Introducing the crate at a young age can give your puppy a safe haven when it is tired and give you peace of mind when you have to leave the house or perform a chore. When executed properly, crate training can teach your puppy that the space is nothing to fear and it will soon accept the crate as its own personal den. Like human babies, puppies are extremely curious creatures who explore much of their world by chewing or tasting things. This can be a deadly habit if your pup should come across pesticide, ant bait, bleach, or other chemical products that could cause a poisoning. 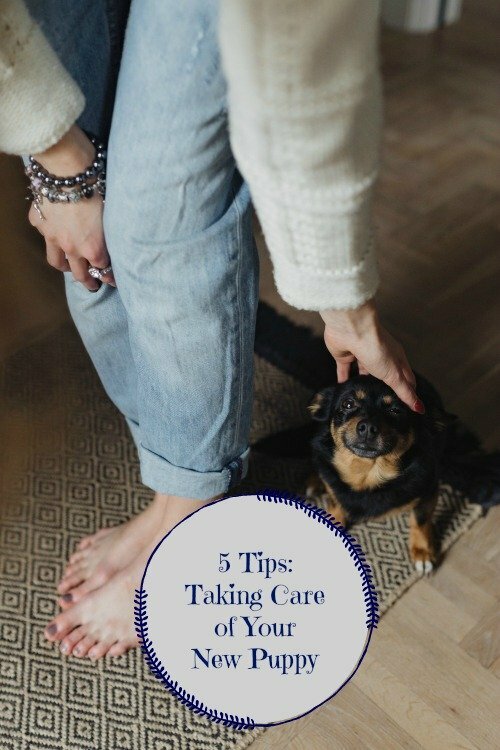 Consider where you might allow your pup to roam within the confines of your home and yard, and put away all chemicals, cleaners, and car fluids, such as antifreeze, well out of its reach. Leashing your puppy early on can help it to understand limitations and keep it within arm’s reach at all times. This can be especially important during the first few days home when your puppy is still exploring its new environment. 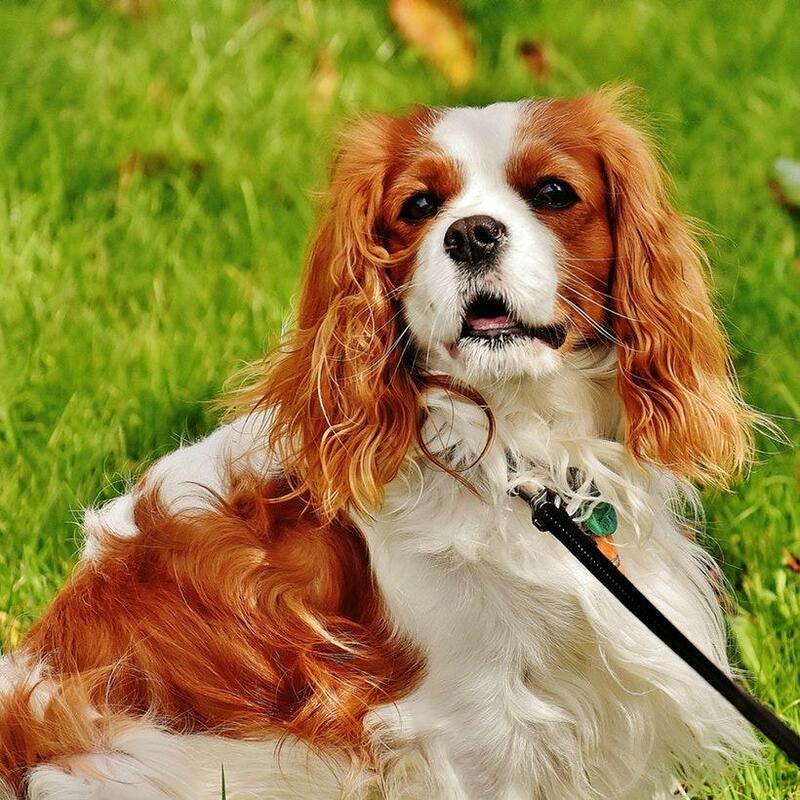 Try to encourage your puppy to walk on its own instead of carrying it everywhere, as this may spoil it and create separation anxiety that can last throughout its life. While your pup may protest at first, patience and positive reinforcement can help it learn while staying safe. While your indoor plants may look pretty, some species of fern, oleander, and philodendron can be poisonous if your puppy eats them. While you might think dogs would avoid plants that make them ill, puppies will chew on just about anything they can get hold of. Move potted plants to your patio and put smaller ones on shelving your puppy cannot reach. Puppies can dehydrate quickly because dogs do not sweat. Instead, they pant to cool their bodies down. 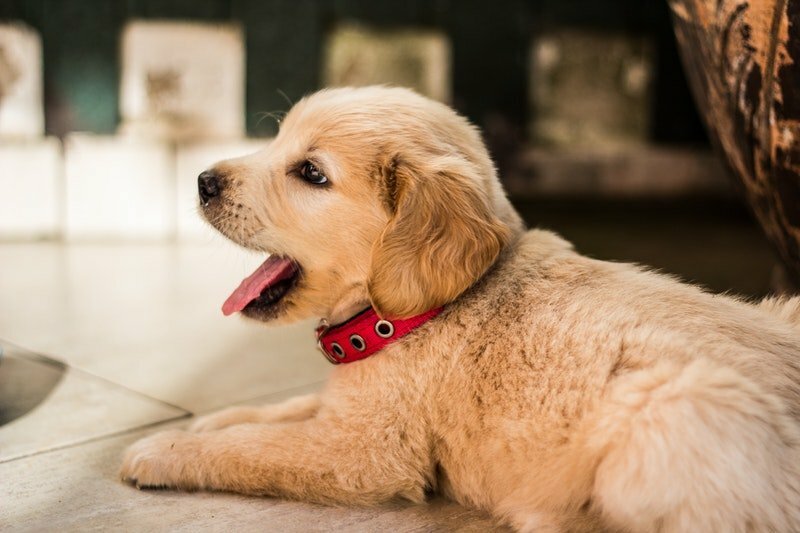 If you bring your puppy home during the summer, offer it plenty of water and shade and have your HVAC system checked so you can get your current AC unit running like it should. Taking all these steps can protect your puppy from heat stroke, which can cause unconsciousness, brain damage, and death. Bringing a new puppy home can be a joy like no other. Protecting it from danger can be a full-time job during the first six to eight months of its life, but the love they offer in return is more than worth the time and commitment.